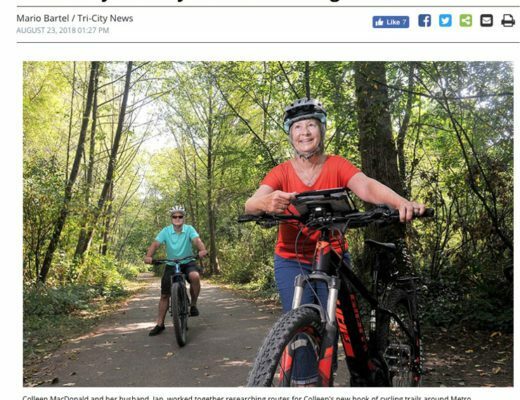 Seaside Greenway – Let's Go Biking! 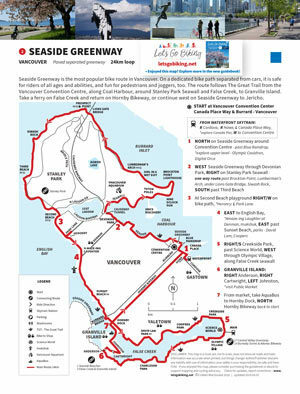 Seaside Greenway – Let's Go Biking! 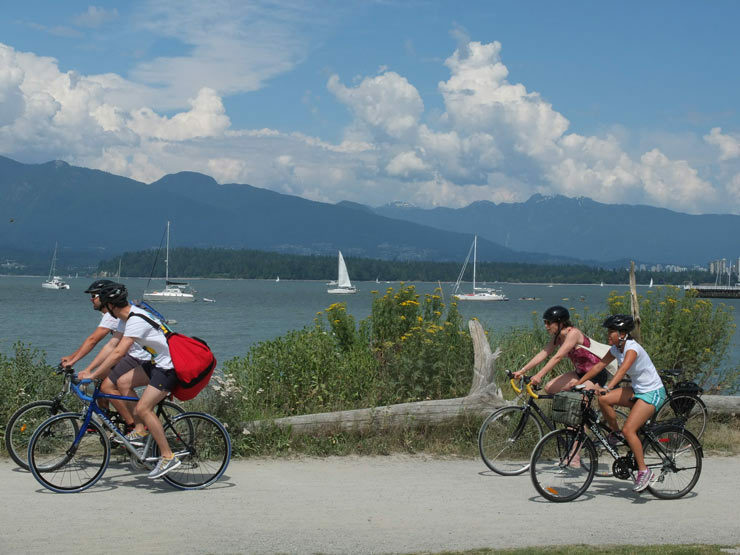 Seaside Greenway is the most popular bike route in Vancouver. 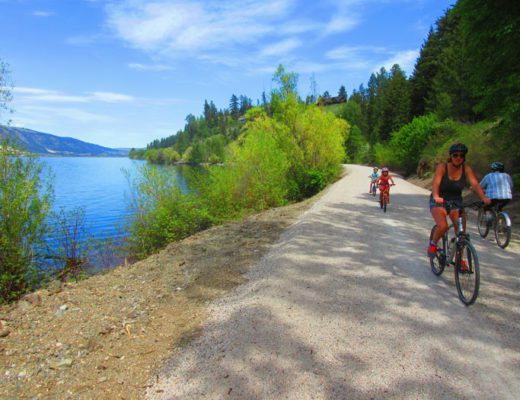 On a dedicated bike path separated from cars, it is safe for riders of all ages and abilities, and fun for pedestrians and joggers, too. 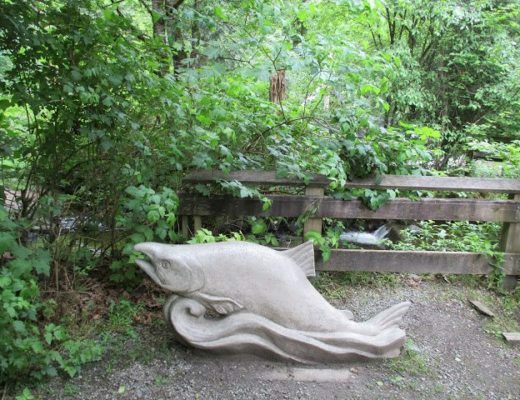 The route follows The Great Trail from the Vancouver Convention Centre, along Coal Harbour, around Stanley Park Seawall and False Creek, to Granville Island. 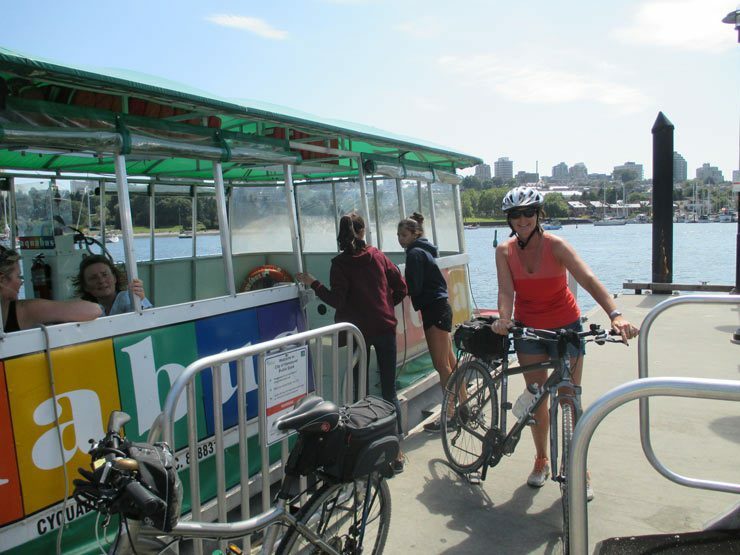 Take a ferry on False Creek and return on Hornby Bikeway, or continue west on Seaside Greenway to Jericho. 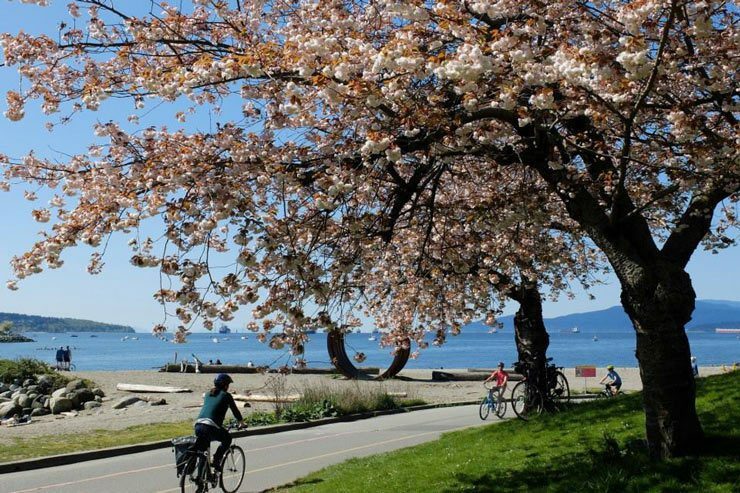 English Bay in Springtime – fun for riders of all ages and abilities. Ken Ohrn Photo. Ride up to the upper deck for harbour view and to see Digital Orca by Douglas Coupland – one of my favourite sculptures in Vancouver!